The NFL definitely follows the Pareto Principle of economics, where a select few take and are awarded with the majority of the glory. Web 2.0 has laid the groundwork for this 24/7/365 news cycle, where even the most casual fan can debate over what Tom Brady just decided to have for lunch. The most popular NFL figures do play the glamour positions — quarterback, running back, and wide receiver — in front of the larger media markets and win primetime games, above all else. Still, the majority of NFL players labor in nearly total obscurity and are often out of the league within five short years before going broke. Outside of the skill positions, a lineman might make multiple trips to the Pro Bowl, but still go unrecognized on the street without a helmet. For 2016–17, expect the five following players to finally start making names for themselves and earning long-deserved recognition beyond team locker rooms and fantasy draft boards. Delanie Walker, like Ben Coates before him, is a late-bloomer. For years, Walker only took the field for two tight-end sets, behind Vernon Davis on the 49ers’ depth chart. In 2012, Walker put up his best numbers for San Francisco, going for 21 catches, 344 yards, and three touchdowns. That offseason, Walker signed a four-year, $17.5 million deal with Tennessee. Then, in 2013, Walker hauled in 60 receptions for 571 yards and six touchdowns through his first season as a full-time starter in the NFL. As a versatile athlete, Walker could run routes off the line of scrimmage, out of the backfield at fullback, or even split out wide of the formation. He is at his best on crossing patterns, where he can use his foot-speed to create separation against linebackers. At 31 years old last season, Walker led all tight ends in receptions, with 94. For the year, Walker rumbled for 1,088 yards and six touchdowns, while emerging as the top target and security blanket for then-rookie quarterback Marcus Mariota. Walker put it all together in a Week 15 tilt against the Patriots, when he hauled in a pass on a quick out pattern, broke two tackles, and turned up field. Walker then hurdled over another defender, outraced the secondary, and stiff-armed the last deep safety right before the goal line for six. For old-timers, Harrison Smith will immediately bring back fond memories of Paul Krause, aka, “The Centerfielder.” For Minnesota, Krause hauled in 53 interceptions between 1968 and 1979. The Purple People Eaters of the ’70s made four trips to the Super Bowl. In all, Krause racked up 81 interceptions, a record that still stands today. Krause missed only two games through a 16-year career between Minnesota and Washington. Like Krause, Harrison “The Hitman” Smith has emerged as one of the better playmakers in the league out of the defensive background. In coverage, Smith often baits the opposing quarterback into taking his chances over the top, before jumping the route and coming up with the pick. From there, it’s off to the races, with Smith following behind a convoy of goons to pay dirt. 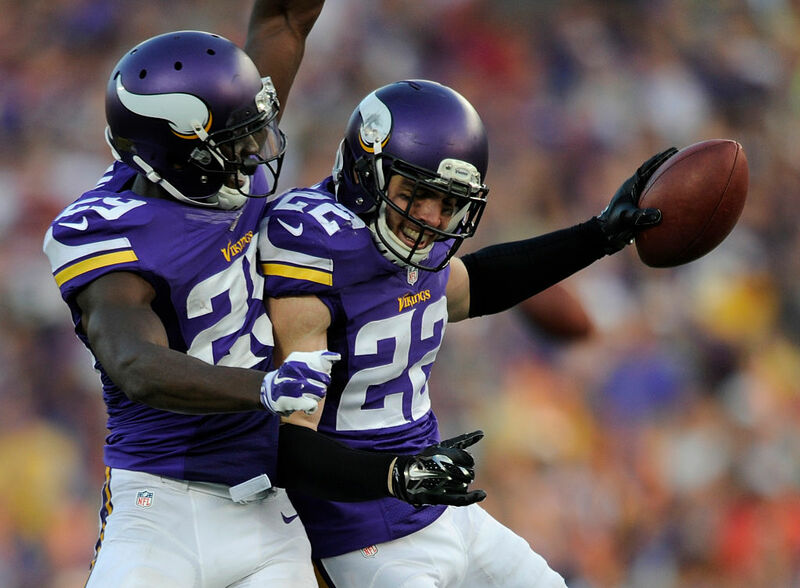 At 26, Smith already has 12 interceptions and four return touchdowns to his credit. For run support, he often cheats down to the line of scrimmage, where he is a sure tackler at the point of attack. To mix things up, The Hitman will also blitz off the slot and light up the quarterback. In 2014, Smith came free on a safety blitz against Ryan Tannehill and batted down an interception right to himself in Miami. In terms of star power, he may get lost in the shuffle on his own team, with Adrian Peterson being a walking highlight reel and threat to go the distance on any possession. Beyond Minnesota, Smith is often overshadowed by the Honey Badger and Earl Thomas out of the NFC, who both show a flair for the dramatic. Marshal Yanda is a top technician at right guard for the Baltimore Ravens. On passing downs, he will give way at the line of scrimmage, before grappling and using his strength to hold the block for multiple counts. Yanda is effective against space-eating defensive tackles and linebackers blitzing inside off a stunt. Last year, Baltimore gave up only 24 sacks (the third least in the league). In the running game, Yanda will pin his own man at the point of attack, before moving on to the second level and clearing the way of linebackers and defensive backs. The 31-year-old is one of the more athletic linemen in the game; one who can road grade on the move in space as a pulling guard on traps, sweeps, and counters. For this, Yanda, a former third-round pick out of Iowa, has made five straight trips to the Pro Bowl and won one Super Bowl. Marcell Dareus got more national airtime as a college kid at Alabama, where he played for three years and won one BCS National Championship. He took home the 2010 BCS National Championship Defensive MVP after knocking Colt McCoy out of the game. For the final exclamation point, an alert Mr. Big Stuff intercepted a wayward shovel pass off the bounce, stiff-armed the backup quarterback, pirouetted out of traffic, and rumbled the final 20 yards back to the house. The Buffalo Bills took Dareus as the third overall pick in the 2011 NFL Draft. Buffalo last made the playoffs in 1999 — and this 16-year drought is now the longest in professional football. If anything, this tortured franchise is mostly notable for “wide right” and losing four consecutive Super Bowls. In recent years, it has been Rex Ryan and the prospects for a move to Toronto that have made the majority of football headlines coming out of New York. Against this backdrop, Dareus now rivals Ndamukong Suh as the best defensive tackle in the league. In 2014, Dareus racked up 10 sacks, while facing constant double teams at the line of scrimmage. To beat those double teams, the 26-year-old has mastered the swim move to shed the center, before shoving his way past the guard and exploding into the backfield. Still, much of this work will never make its way onto the stat sheet, with linebackers also filling holes and taking out the trash. This year, Dareus will not take the field until October 9, after he serves out a four-game suspension for violating the league substance abuse policy. Nationally, this case received little attention relative to Tom Brady and Le’Veon Bell. 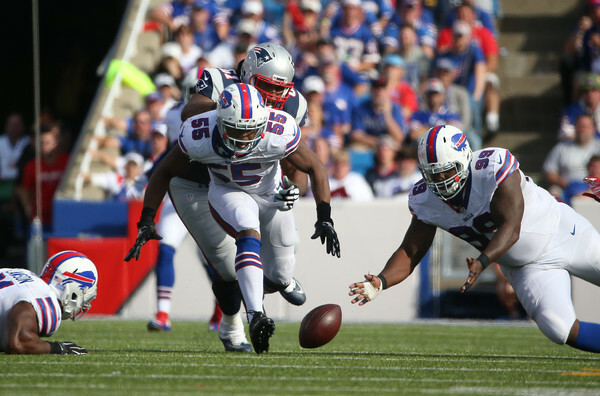 For Buffalo, Dareus is the undisputed anchor of the defense and just as important to this team’s chances as any player on the field. You can finally place your hope in the Jacksonville Jaguars, which last made the playoffs in 2007, when Fred Taylor and Maurice Jones-Drew shared carries out of the backfield. Since then, the Jags have only offered up lessons in futility, with one confused fan even repeatedly mocked as an infamous internet GIF. For years, the Jaguars took a backseat to SEC Football, especially after team executives rolled the dice on draft busts, Blaine Gabbert and Justin Blackmon, and lost big. Blackmon is already out of football after failing multiple draft tests, while Gabbert is now in San Francisco attempting to salvage his own career. In 2014, the Jaguars used their first two picks in the draft on Blake Bortles and Allen Robinson, with the intent of erasing all memories of the dreaded Gabbert-to-Blackmon connection. Bortles was a starter from day one, while Robinson was gradually incorporated into the offense. 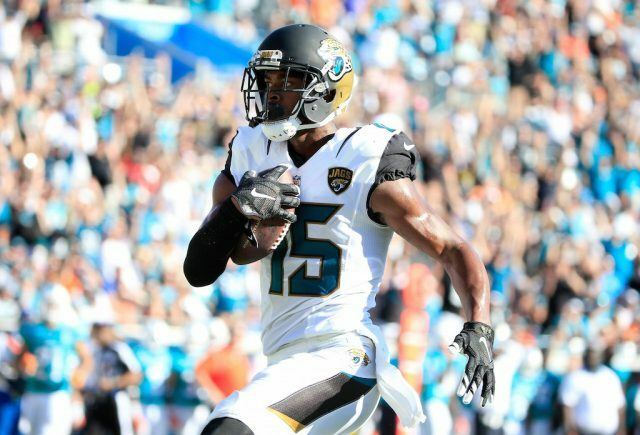 Still, Allen Robinson came up with 48 catches for 548 yards and two touchdowns — as a rookie. That offseason, he worked on his route running to pair up with his boundless athleticism. Robinson really broke out last season as he hauled in 80 receptions and 1,400 yards. As a big-play threat, he averaged 17.5 yards-per-catch and scored 14 touchdowns, which tied him with Doug Baldwin and Brandon Marshall for the most in the league. Blake Bortles, for his part, already throws one of the better deep balls in the league, and will go over the top to hook up with 6-foot-3 Robinson for years to come. Statistics courtesy of ESPN and Pro-Football-Reference.